Cluster analysis is used in data mining and is a common technique for statistical data analysis used in many fields of study, such as the medical & life sciences, behavioral & social sciences, engineering, and in computer science. Designed for training industry professionals or for a course on clustering and classification, it can also be used as a companion text for applied statistics. No previous experience in clustering or data mining is assumed. Informal algorithms for clustering data and interpreting results are emphasized. In order to evaluate the results of clustering and to explore data, graphical methods and data structures are used for representing data. Throughout the text, examples and references are provided, in order to enable the material to be comprehensible for a diverse audience. A companion disc includes numerous appendices with programs, data, charts, solutions, etc. *Includes a companion disc with solutions to exercises, programs, data sets, charts, etc. "Cluster Analysis and Data Mining: An Introduction pairs a DVD of appendix references on clustering analysis using SPSS, SAS, and more with a discussion designed for training industry professionals and students, and assumes no prior familiarity in clustering or its larger world of data mining. It provides theories, real-world applications, and pairs these with case histories and examples to support algorithms for clustering data and gathering their results. 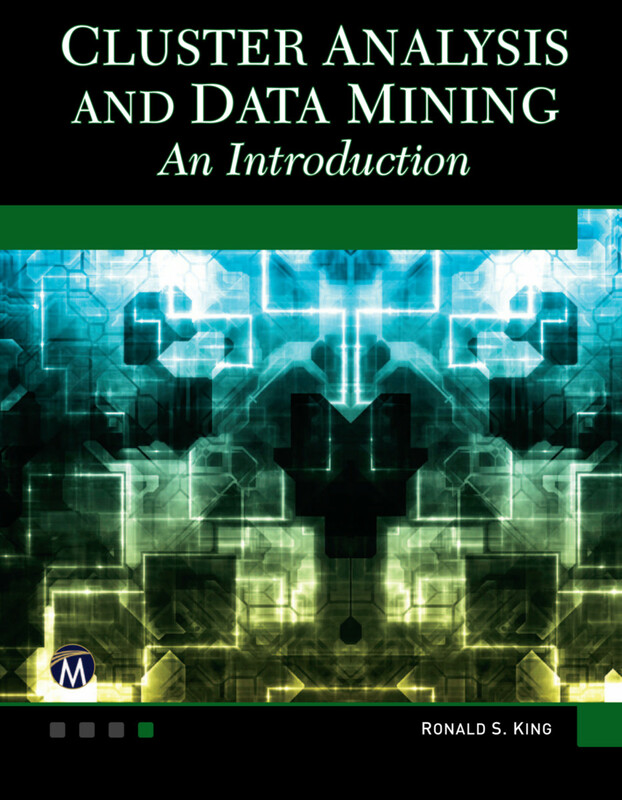 From different clustering models, their applications, and their uses to exercises and reviews designed to reinforce learning, this is a solid reference for any just beginning to delve into the specifics of data mining operations and options." Ronald S. King holds a PhD in applied statistics and currently teaches online courses for Tarleton State University (TX). Spanning a career of four decades of teaching and administration at multiple universities, he brings a unique perspective to the fields of statistics, computer science, and information systems. His lifetime career publications have made numerous contributions to these fields.